The Great Mosque of Kairouan – A Must Visit Location in Tunisia! 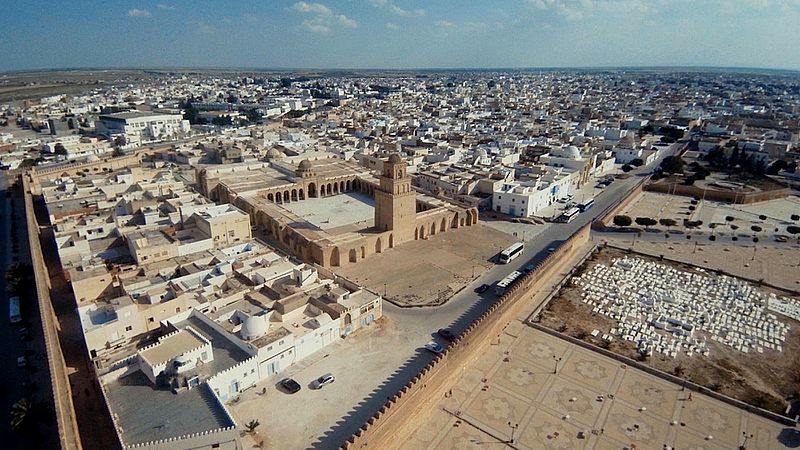 Situated in the picturesque UNESCO World Heritage Site of Kairouan, the Great Mosque is a must visit attraction and is considered to be one of the first places of worship in the Islamic world. The venerated mosque is located to the north-east of Kairouan, in the intramural district of Houmat -al – Jami. It can be easily reached from many a resort and hotel located in the vicinity such as The Residence Tunis by Cenizaro Hotels & Resorts. The original construction of the mosque took place in the year 670 under the auspices of the founder of the city, Uqba Ibn Nafi. Following which it went through a series of reconstructions and expansions. In 836, Ziadet -Allah 1 reconstructed the mosque once again, and this is when the building looks at least in its entirety, the appearance we see today. The mosque is a veritable museum home to Islamic decorative architecture and art. The library also showcases a large collection of calligraphic manuscripts and scrolls, the oldest which dates back to the 9th century. Other works of art include the ”crowns of light”, which are circular chandeliers. The mosque is quite popular among Tunisia attractions due to this reason. Kairouan was considered to be one of the most significant centres of Islamic Civilisation between the ninth and eleventh centuries AD. During this time the Great Mosque of Kairsouan was both a centre for teaching Islamic sciences and prayer.